My watch has been at the service center for quite some time…much to my annoyance, and my backup watch completely packed up in Krabi leaving me watchless…which for some reason I find rather uncomfortable. I’ve been looking around for something in my budget, then out popped some new released by Seiko! The SNFK series. 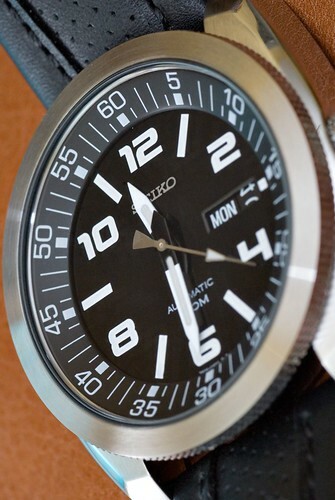 Something like the Seiko 5 series (7s26 Caliber), but quite a different look – it’s also an automatic watch. 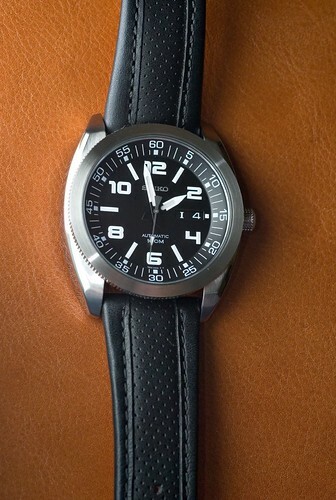 A big face not much different from the rugged outlook of a divers watch (43mm without crown 53mm lug to lug). 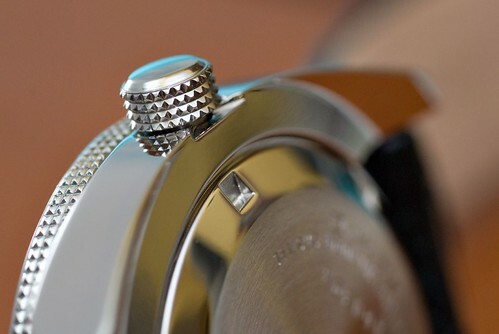 It has a beautifully crafted knurled fixed bezel which brings the details of the watch out along with the crown which is also knurled – it’s not screw down though. 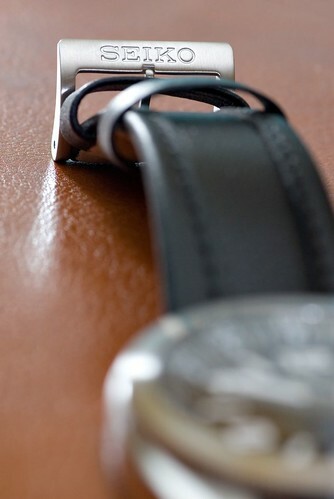 And a very nice Calf Skin strap to compliment (including signed Seiko buckle). You can buy one too….if you can find one, they are very rare! Or you can get one like the SNFK07K Lanatir bought. I’ve been wanting to shoot a watch for a while….mine were all scratched so I bought one, yay! Good stuff. I’d get the same watch if only it had a 6R15 mov’t. As reliable as it is, the +20 sec/day accuracy of the 7S26 on my SKX013 drives me nuts sometimes. awesome watch, very nice indeed. looks robust. any ladies watch for this series? Very nice watch. Hope it has a sapphire crystal face which has a Mohs hardness scale of 9, and can only be scratched by diamond. I saw a Rolex on eBay with a sapphire crystal face but the price is in US dollars even though it is posted on eBay Malaysia. My Swatch Irony chronograph has a mineral glass face (Mohs hardness scale of 6-7) and got easily scratched by hardened concrete on scaffolding. I think it’s about the same price as Lanatir’s watch. TZ: Buy a Seiko, they are great. Really high quality, good movement and reasonably priced. You can get a really nice watch for 300-450RM. This is my second! 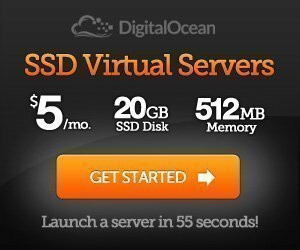 coppersnare: Well as Grant says below this is a 7S26b so it is quite a bit more accurate, I’m not even sure I’d notice if it’s less than 10 secs a day. Citizen 8110 Monaco? Nice choice, very retro look. KY: Aye, it looks the bees knees! CK: Nope not as yet, there is some nice ladies watches in the Seiko 5 series though. Grant S.: I hope this one is +4 daily too, that’s rocking. James: Thanks but watches in this price range (sub 1000RM) won’t generally have crystal faces – all will be mineral glass which is quite easily scratched. It’s not too expensive to repair though, when I checked for my Seiko 5 it was RM45 to replace the glass. 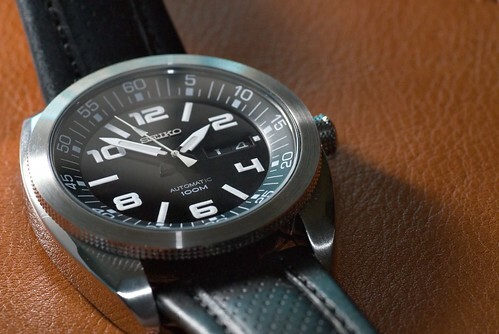 easyriderlovescs: That’s the charm of Seiko, looks expensive but it’s not! I really love how this watch looks. This is a Seiko Kinetic too, no battery required, both of my Seiko’s have automatic movements. The Ecodrive watches are nice too though. sapphire crystal although its virtually scratch prrof…its also very brittle…..a hard knock (impact) will shatter it. also…there’s this silica based material used commonly in wall surfacing has a hardness scale btwn 9 and 10…which means it scratch sapphire crystal as well. Wow at #2. Love such knobs! may i know the price and where u bought it ?